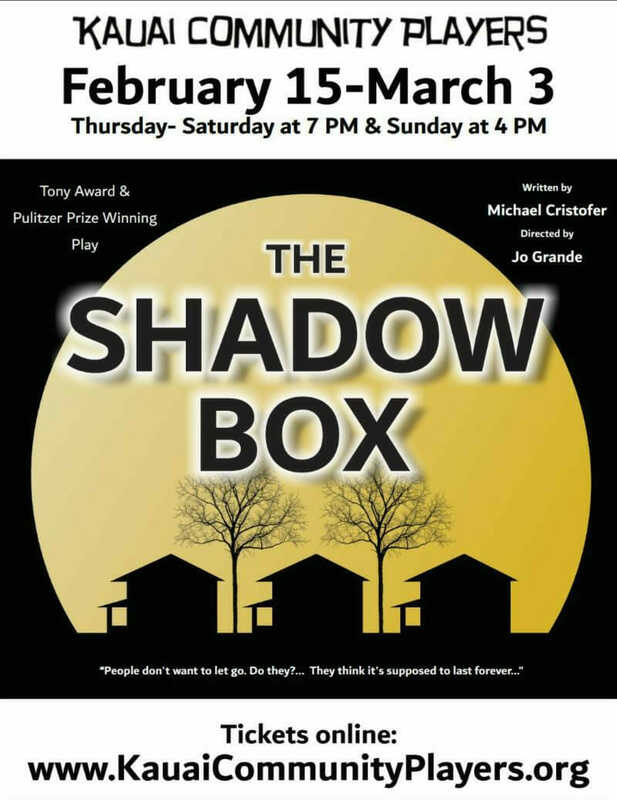 KCP’s second play of the 2019 season is Michael Cristofer’s The Shadow Box, winner of the Pulitzer Prize for Drama and Tony Award for Best Play directed by Jo Grande. This Pulitzer prize winning drama takes place over twenty-four hours. In this compelling dramatic triptych, three terminal cancer patients dwell in separate cottages on a hospital’s grounds. The three are attended and visited by family and close friends: Agnes and her mother Felicity, estranged further by the latter’s dementia; Brian and Beverly, whose marital complications are exacerbated by Brian’s new lover, Mark; and Joe and Maggie, unready for the strain of Joe’s impending death and its effect on their teenage son.